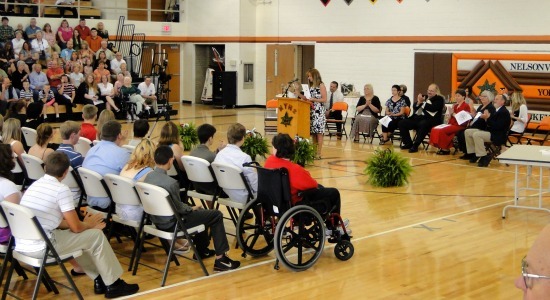 This morning I gathered with family in the Nelsonville-York High School Gym for the Middle School's Eighth Grade Ceremony of Promotion. We were there to see the graduation of Sarah, Hannah and other family and friends. Sarah received several awards for outstanding performance in different subjects and a Presidential Award of Achievement. Hannah received an award as well. After the ceremony we went outside to take pictures. Next we headed to the Inn at Hocking College for a celebration dinner. Several Family members were there including Mom, Crissy, Jake, Alice, Merle, Julie, Ronnie and Kathy. 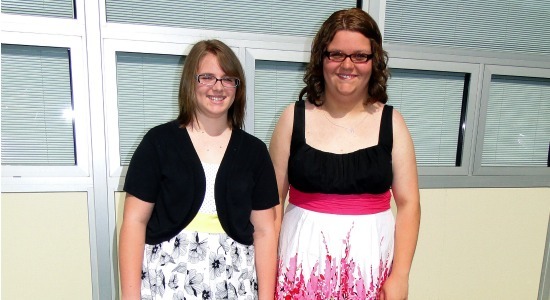 The girls are really growing up. Congratulations!